Approximately 30 years ago, the Tissue Typing Laboratory at the Sheba Medical Center in Israel was created to serve a newly launched cadaver-kidney organ sharing program. The mandate of the Sheba Medical Center has evolved over the years from organ donation to include HLA typing for bone marrow transplants. The medical center performs approximately 140 pediatric and adult bone marrow transplants per year. Dr. Ephraim Gazit and his team are responsible for HLA typing in the laboratory for a variety of purposes including: HLA disease studies, to identify potential bone marrow donors in families and in the general population, to build a bone marrow registry and for organ transplantation. Bone marrow transplantations cure malignancies, various types of leukemia, and certain genetic disorders. A key element in successful transplants is to ensure tissue-typing identity between donor and recipient by accurate classification of the histocompatibility genes. The task of HLA typing potential donors within the population and for specific patients lies with the laboratory. A DNA sample is required for the classification of the histocompatibility genes. Traditionally, blood samples have been used to collect the DNA required for HLA typing. However, Dr. Gazit has encountered cases where blood cannot be drawn or the donor may not allow blood to be collected. In other cases, a prospective donor lives outside of Israel and a sample cannot be collected in the laboratory. The method chosen for these cases would have to be appropriate for both adults and young children. In addition to the blood collection methods utilized inside the laboratory, Dr. Gazit decided to evaluate DNA from saliva using Oragene and ORAcollect kits for patients or donors who are not able or willing to provide a blood sample. Dr. Gazit’s evaluation of Oragene and ORAcollect concluded that the DNA collected is stable at ambient temperature and can therefore withstand many days of transportation by mail and/or courier around the world. 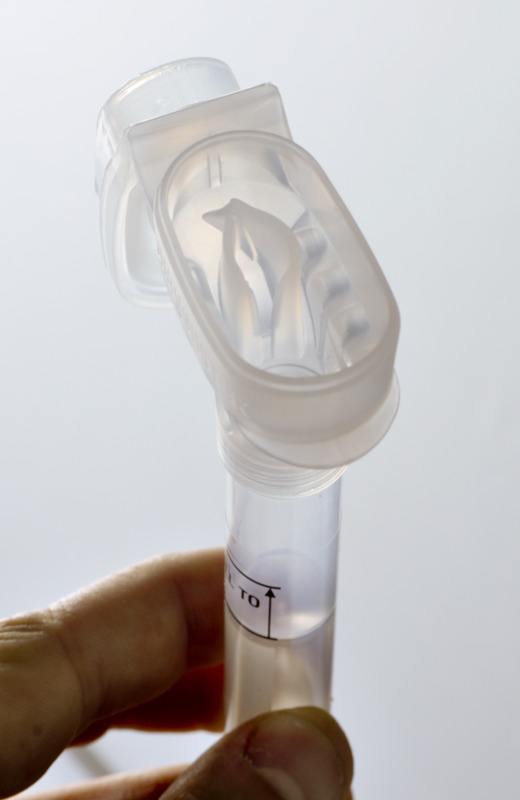 The saliva collection kits are sometimes the only way to collect DNA for his work, particularly in cases where the potential donor is not in the country. Dr. Gazit found the self collection method useful in many collection environments including when a potential donor was abroad and a physician capable of drawing blood was not available. There were also cases in which patients suffering from aplastic anemia required a non-invasive approach for DNA collection and Oragene or ORAcollect were the only viable alternative. Dr. Gazit has successfully used DNA collected with these kits on Hologic Gen-Probe, Olerup and Life Technologies’ Invitrogen HLA typing kits. In addition to the non-invasive method and stability at ambient temperature, Dr. Gazit found that the quality of the DNA was more than sufficient for HLA typing for both adults and children. Since starting to use Oragene in 2010, Dr. Gazit has typed over 1500 people using samples collected with Oragene and ORAcollect products in his laboratory. We love hearing stories like this from our customers. Do you have a story to share about your experience with Oragene? Leave a comment and let us know.